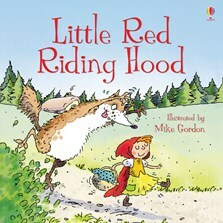 A quirky retelling of the classic fairy tale, specially written and amusingly illustrated for young children to enjoy. Little Red Riding Hood braves the deep, dark woods to visit her grandmother, but can she outwit the wolf she encounters along the way? A delightful picture book sure to be enjoyed again and again.